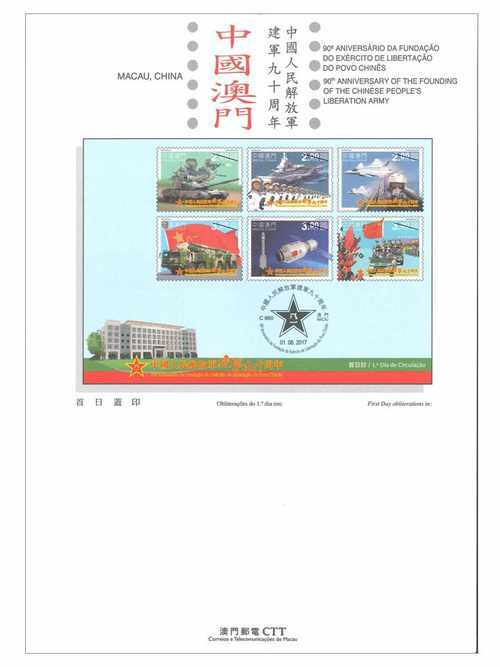 Stamp Issue "90th Anniversary of the Founding of the Chinese People’s Liberation Army"
STAMP ISSUE "90thANNIVERSARY OF THE FOUNDING OF THE CHINESE PEOPLE’S LIBERATION ARMY"
Macao Post and Telecommunications Bureau will issue the stamp theme "90th Anniversary of the Founding of the Chinese People’s Liberation Army" on 1st August, 2017. On 1st August 1927, the Communist Party of China launched the Nanchang Uprising which shocked the whole world. 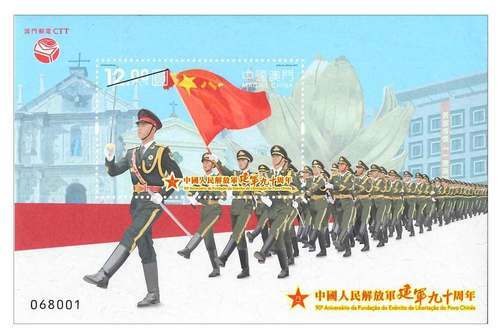 The glorious day “1st August” has become the grand festive day for the People’s Liberation Army. 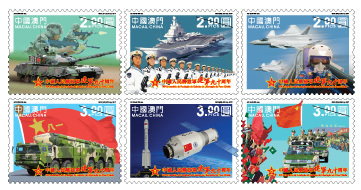 Over the last 90 years, the People’s Liberation Army keeps on fighting courageously and fearlessly. For the sake of the revolution, development and reform of China, as well as to uphold the peace and tranquility of the world, they have made tremendous achievement that shines through all ages. 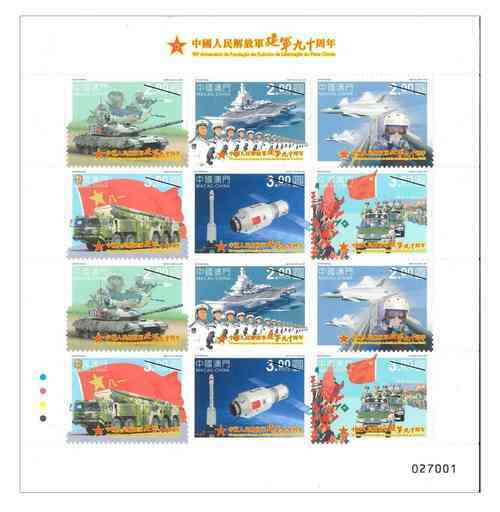 This issue includes a set of six stamps and one souvenir sheet. 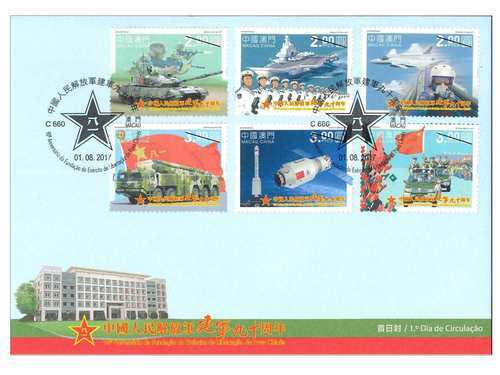 The stamps illustrate the Chinese core military equipment including the Main Battle Tank “ZTZ-96”, Aircraft Carrier “Liaoning”, Stealth Fighter Aircraft “Chengdu J-20”, Anti-ship Ballistic Missile “Dong Feng-21D”, Space Laboratory “Tiangong-2”. 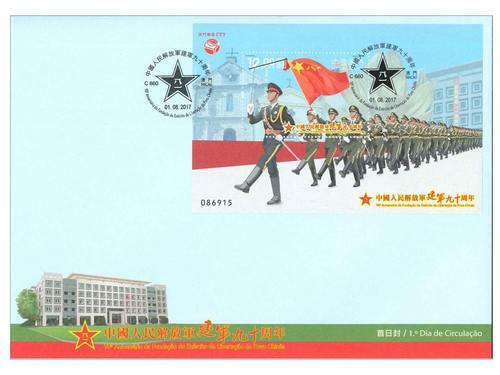 The 6th stamp and the souvenir sheet are illustrated the People’s Liberation Army Garrison Stationed in Macao. 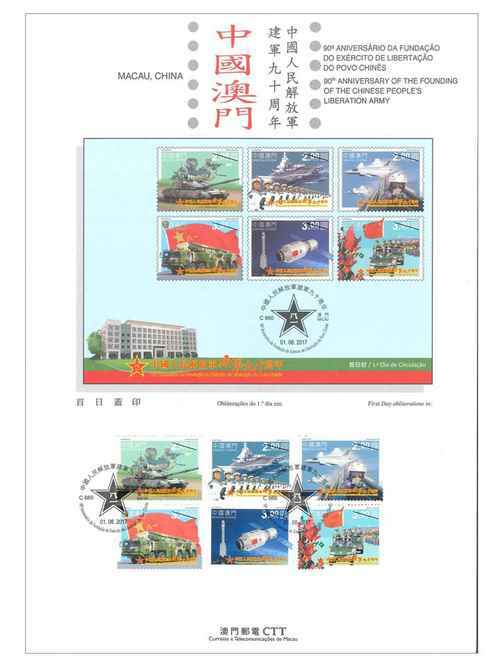 The stamp designer of this issue is Mr. Ao Kuan Kin, and the text of the information brochure is written by Macao Post and Telecommunications Bureau. This is the sixth theme in 2017. 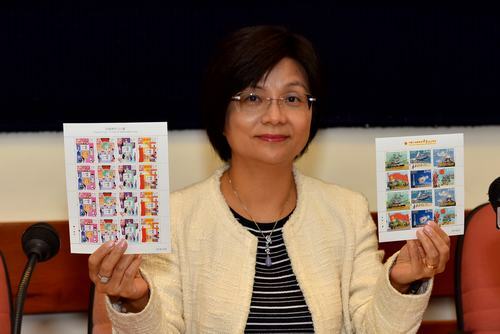 The previous issued stamps are “Lunar Year of the Rooster” on 05/01/2017, “Macao: Back to Common Roots” on 10/02/2017, “Traditional Chinese Culture” on 01/03/2017, the label stamp “Lunar Year of the Rooster” on 17/05/2017, “Chinese Opera – Farewell My Concubine” on 08/06/2017, and “Social Welfare Services of Macao” on 03/07/2017. Technical Data of Stamp "90thANNIVERSARY OF THE FOUNDING OF THE CHINESE PEOPLE’S LIBERATION ARMY"